AURORA, OH: Video Products Inc today announced the addition of the 1394B-HUB-3 FireWire Hub/Repeater to its popular line of hubs. 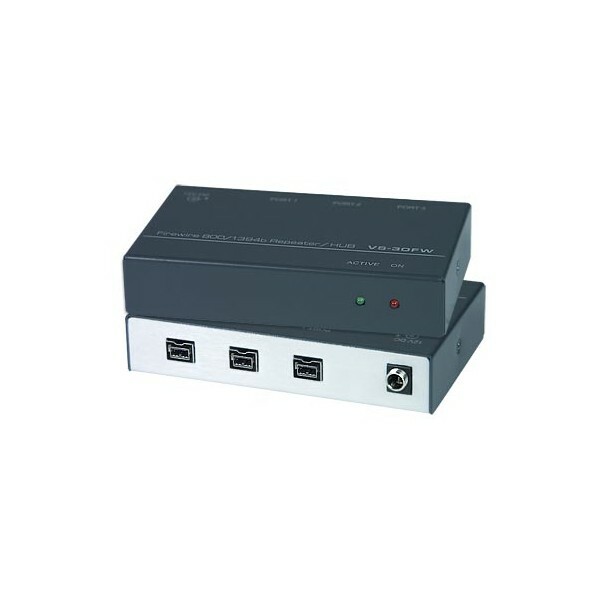 The 1394B-HUB-3 FireWire Hub/Repeater allows a user to quickly connect and swap two FireWire devices to a single computer without rebooting. It supports data transfer rates up to 800 Mbps, supports Plug-n-Play specifications, and is hot-pluggable. When used as a repeater, the 1394B-HUB-3 FireWire Hub/Repeater doubles the maximum range of FireWire cable from the standard 14.75 feet to 29.5 feet. Multiple units can be cascaded to extend the range up to 236 feet. The Hub/Repeater also features circuitry specifically designed to protect your equipment from electrostatic discharge (ESD). 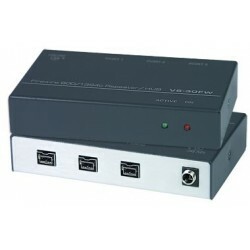 Available for immediate sale, the 1394B-HUB-3 FireWire Hub/Repeater costs $95 each. VPI offers connectivity products of exceptional quality. Our product line includes a wide variety of cables, adapters, hubs, switches and splitters. All of our products are rigorously tested and are backed with a one year warranty on all parts and labor, and a 30-day satisfaction guarantee. Responsive customer service and technical support are available to assist with product selection and user questions (800-626-7801, fax 330-562-1999, e-mail sales@vpi.us). Please contact Sabrina Davila for a high-resolution digital file or photograph of the 1394b FireWire Hub/Repeater suitable for print reproduction.